A light and spacious Edwardian first floor and loft maisonette. This property has already been extended to provide a large attic bedroom accessed via spiral staircase and is in good decorative order throughout - also the kitchen has recently been refitted. 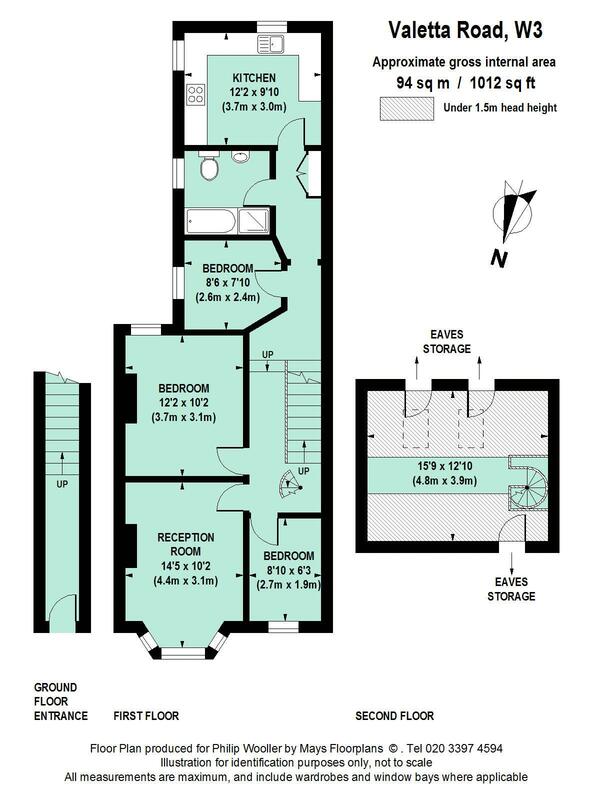 There is potential to convert the loft room to a larger rear mansard room with bathroom, as well as space for a pod room or south facing roof terrace, subject to planning consent. The flat is quietly situated in the middle section of Valetta Road which is a few minutes walk from Wendell Park and the local primary school. Askew Road is also within a short walk, and the shopping and transports hubs of Hammersmith and Westfield are within easy reach; the 607 bus route east along Uxbridge Road provides the fastest access to the Central Line tube. Stamford Brook or Turnham Green Terrace tubes are an approximate 15 minute walk.